A 90th minute Asamoah Gyan strike extinguished the hype surrounding Algeria, as Africa’s number-one ranked team looked genuinely troubled for the first time since Christian Gourcuff took over in August. The 58-year-old French manager has a lot to account for as he named a passive side against the Black Stars. Nabil Bentaleb started on the left wing of a 4-4-2, which offered very little going forward. It was painfully evident that Algeria were looking to draw not win, but that backfired when Gyan rushed passed Carl Medjani and bumbled a bouncing shot in past Rais M’Bolhi. Algeria must now better Ghana’s result to qualify for the quarterfinals. Only a win will guarantee progress to the next round. Gourcuff’s task has been rendered even more difficult by the fact that Islam Slimani will miss this fixture with an injured knee. 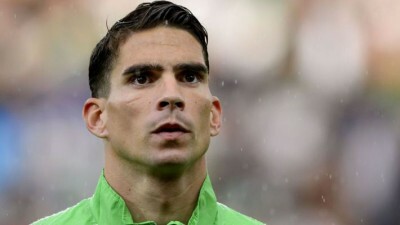 The Sporting Club de Portugal striker scored against South Africa in Algeria’s opening fixture and has been a mainstay in Les Fennecs’ starting XI for two years now. The smaller, slighter Hillel Soudani is expected to replace him in attack, though he isn’t quite as effective as a lone striker. In midfield Medhi Lacen will be dropped after consecutive subpar performances. Nabil Bentaleb and Saphir Taider will hold the reins in central midfield while Riyad Mahrez reclaims his starting berth on the left wing. The Teranga Lions have no injuries to report, and have been training in Malabo since Saturday. The biggest story surrounding Giresse’s side was that Diafra Sakho had played and scored for West Ham against Bristol City in the FA Cup. Sakho was called-up by Giresse, but pulled out of contention with a muscle injury. Giresse was surprised to hear of Sakho’s prompt rehabilitation. Though Sakho would have missed Senegal’s first two matches in Equatorial Guinea, fans are outraged with the suspect timing of his recovery. The Senegalese Federation were not at all pleased with their dealings with West Ham United and may take legal action against the English club. Watch this space. Sakho-gate aside, Senegal are sit atop of Group C with four points. On Saturday night Kara Mbodj rose highest to head home an equalizer against South Africa, four days after the Moussa Sow scored a last minute goal against Ghana to give Senegal its first three points. Algeria will be as stern a test as either of their previous two opponents, and Senegal cannot afford to lose as taking no points from their final match could eliminate the West Africans.